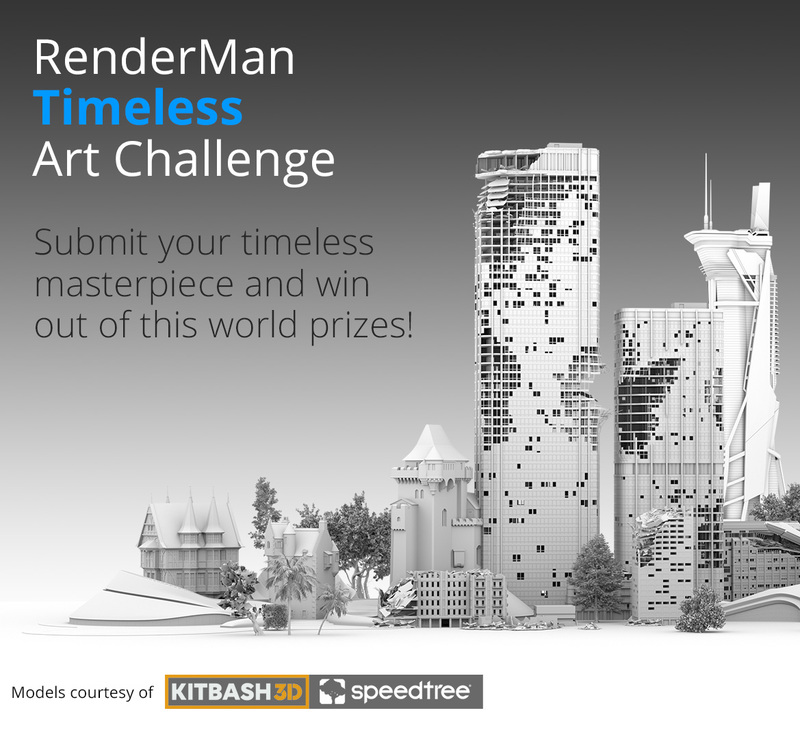 RenderMan's Third Art Challenge is Here! 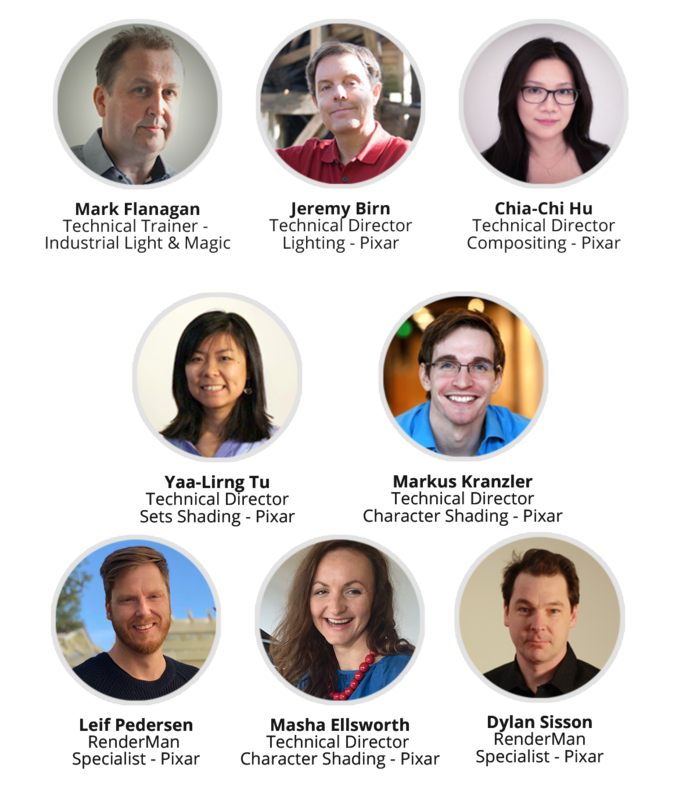 Judges: Jeremy Birn, Chia-Chi Hu, Masha Ellsworth, Mark Flanagan, Yaa-Lirng Tu, Markus Kranzler, Leif Pedersen, Dylan Sisson. In this “Timeless” art challenge, you’ll get to work with a custom scene courtesy of Kitbash3d and Speedtree, providing you with production-quality assets to showcase your shading, lighting, rendering and compositing skills for the possibility of winning our best prizes yet! We are very excited to have our friends at Allegorithmic, Kitbash3D, LollipopShaders, NVIDIA, Pluralsight, Quixel, Ranch Computing, and Speedtree co-sponsor this community event, adding a wonderful list of prizes. A set of industry judges will determine the winners, giving you a unique opportunity to interact and receive feedback from Pixar and ILM professionals. Judging will be based on both artistic and technical merits, so get creative, but don’t forget to dazzle us with your rendering skills! The deadline for the challenge is January 11th, 2019 - Midnight PST (Pacific Standard Time - USA). Nice, I want to see the entries!